7:50pm–#cttraffic–#Fairfield Connecticut– A crash on I-95 southbound near exit 24 is making the slow go even slower. 4:19pm–#Fairfield Connecticut– An alleged female shoplifter at Kohls at 290 Tunxis Hill Road gave security a brief foot pursuit in the parking lot. Security was able to detain her until police arrived. The male waiting in the silver get a way car fled the scene. Fairfield Police caught up with him on Dewey Street in Bridgeport. 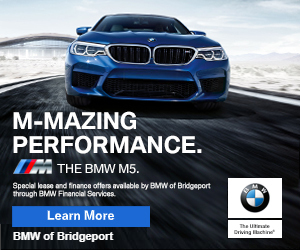 10:48pm–#Fairfield Connecticut–Police are on scene with another road rage incident. Post and Round Hill Road. This marks the third documented case in three days. You won’t have any rage with Joe’s Fuel Oil Prices! Just $1.89 a gallon this week! 1:01pm–#Southport Connecticut–#Fairfield Connecticut– Firefighters help extricate occupants in a two car crash at 3651 Post Road, Southport. Stratford News: Calling The Cops?